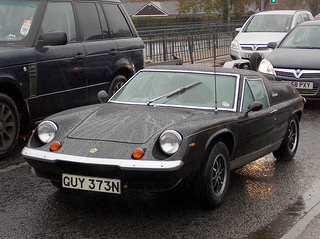 The Series 3 Type 74 sports car was launched in October 1971, and featured a Lotus-Ford 1558 cc, Twin Cam, 4-cylinder engine, developing 105 bhp, with a top speed of 117 mph, and a 0-60 mph time of 7.8 secs. Initial Production used the same gearbox as in previous models. However, in 1972, as soon as existing stock had been utilised, a new, stronger Renault four speed gearbox (the Type 352) was fitted. Rear visibility was improved by redesigning the bodyshell, a front spoiler was added, the interior space was increased, and magnesium wheels were fitted. In September 1972, the final variant was launched. 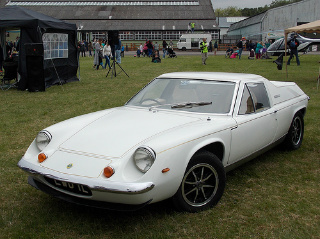 It was the Lotus Europa Special, sporting the Big Valve Twin Cam engine, as used in the Lotus Elan Sprint, and developing 126 bhp. Equipped with a five speed gearbox, it had a top speed of 124 mph, even though it weighed nearly 300 pounds more than the Series 1 version. It was fitted with Dell'Orto or Webber carburettors, a new Renault five speed gearbox, had a 0-60 mph time of 6.6 secs, and a standing 1/4 mile time of 14.9 secs. 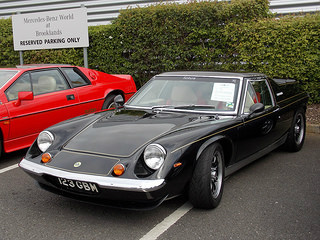 Following Team Lotus's Formula 1 World Championship title wins in 1972 and 1973, a limited edition Black Europa Special, with a gold pin stripe was offered, and represented the very first John Player Special commemorative cars. They used the same livery as the Grand Prix cars, as well as a JPS badge on the dashboard which notified the cars' numbering sequence, and all were fitted with a five speed gearbox. The new car turned out to be so popular that the name and pin stripe decoration were retained until production of the Europa ended. In fact, the numbered dashboard badge was the only way to identify the first 100 JPS cars from Black Europa Specials. In total, 4,710 Type 74's were built, of which 3,130 were "Specials", the remaining 1,580 being the S3 variant. Cars displaying the numbered dashboard badge were earmarked for export to the US only. In 1975, it was revealed that Lotus was working on a more up market model, which turned out to be the chiselled-shaped, Giugiaro-designed Esprit. 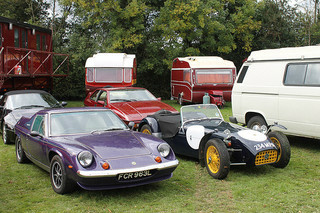 Consequently, the Europa passed into motoring history as a much loved model when production ended in early 1975. Though US exports were sporadic throughout 1969, the Europa was officially certified for American sale after that date. The majority of Europas sold in the US were the Series 3 Twin Cam and Twin Cam Special models which were, by far, the most popular. Unfortunately, due to stringent US federal regulations, both were discontinued after 1974. 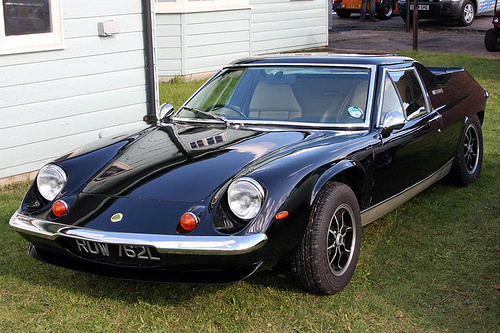 A 1973 Lotus Europa Series 3 Special in very good condition could command around £33,000/$55,000.